This study evaluates baseline patient characteristics and surgical parameters for risk factors of medical complications in ASD patients received posterior long level internal fixation. Analysis of consecutive patients who underwent posterior long-level instruction fixation for adult degenerative scoliosis (ADS) with a minimum of two year follow-up was performed. Pre-operative risk factors, intraoperative variables, peri-operative radiographic parameters, and surgical-related risk factors were collected to analyze the effect of risk factors on medical complications. Patients were separated into groups with and without medical complication. Then, complication group was further classified as major or minor medical complications. Potential risk factors were identified by univariate testing. Multivariate logistic regression was used to evaluate independent predictors of medical complications. 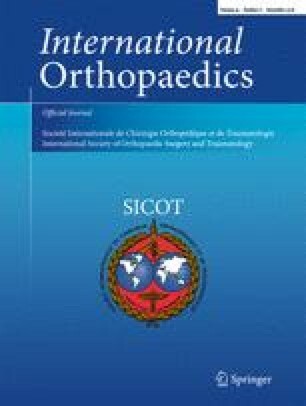 One hundred and thirty-one ADS patients who underwent posterior long segment pedicle screws fixation were included. Total medical complication incidence was 25.2%, which included infection (12.2%), neurological (11.5%), cardiopulmonary (7.6%), gastrointestinal (6.1%), and renal (1.5%) complications. Overall, 7.6% of patients developed major medical complications, and 17.6% of patients developed minor medical complications. The radiographic parameters of pre-operative and last follow-up had no significant difference between the groups of medical complications and the major or minor medical complications subgroups. However, the incidence of cerebrospinal fluid leak (CFL) in patients who without medical complications was much lower than that with medical complications (18.4 vs. 42.4%, P = 0.005). Independent risk factors for development of medical complications included smoking (OR = 6.45, P = 0.012), heart disease (OR = 10.07, P = 0.012), fusion level (OR = 2.12, P = 0.001), and length of hospital stay (LOS) (OR = 2.11, P = 0.000). Independent risk factors for development of major medical complications were diabetes (OR 6.81, P = 0.047) and heart disease (OR = 5.99, P = 0.049). Except for the last follow-up, Oswestry Disability Index and visual analog scale of the patient experienced medical complications trend higher score; the clinical outcomes have no significant difference between the medical and major complications groups. Heart disease comorbidity is an independent risk factor for both medical and major medical complications. Smoking, fusion level, and LOS are independent risk factors for medical complication. Diabetes is the independent risk factors for major medical complications. The author thank the invaluable support from Beijing Chaoyang Hospital affiliated to China Capital Medical University. The author thanks Dr. Yong Hai who supervised the study, provided technique support, and corrected some mistakes. The authors also thank Dr. Xiang-yao Sun and Xiang-long Meng for providing the analysis of the clinical data. This study was supported partially by research fund provided by National Natural Science Foundation of China (NSFC) No. 81372008 and China Scholarship Council No. 201608110199. The study was in accordance with the ethical standards of the institutional research committee, the 1964 Helsinki declaration, and its later amendments. For this type of study formal consent is not required.